There are lots of these laser cut fusible applique kits on the market. It is easy to get confused by the instructions and materials. We'll walk you through the pattern, help you identify and organize the pattern parts and show you some easy methods for placing your pieces. You'll have time to get started on your project in class and will go home with the tools you need to successfully complete your quilt top. 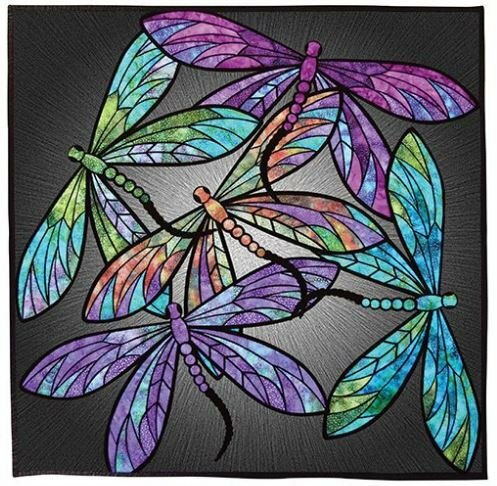 We'll demonstrate with Hoffman's Dance of the Dragonflies kit but the techniques can be used for others.